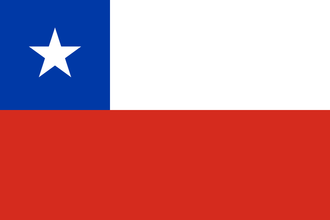 Chile is a country in South America occupying a long, narrow strip of land between the Andes and the Pacific Ocean. It borders Peru to the north, Bolivia to the northeast, and Argentina to the east. After having its economy plummeted by the Great Depression, and after a long period of political instability which was riddled with a series of coup d'etats, democracy was finally reinstated in 1932, placing Arturo Alessandri Palma as the President of the Republic of Chile. With an economy heavily reliant on the export of raw resources, primarily saltpeter, its economy suffered heavily with the invention of synthetic nitrates, which was aggravated with the beginning of the Great Depression period, during which Chile's GDP dropped to about a third of its value, thus plunging the country to poverty. After a 1932 coup by the Socialist Party (Partido Socialista), democracy was reinstated only 12 days after the coup, and Alessandri's task as the head of the newly reinstated Liberal Democracy was to get Chile's economy afloat by stimulating copper mining and agriculture, while also upbringing the national industry for supplying it's population's needs. In the 1936 scenarios, Chile starts with a population of 4.29 m and, due to the Volunteer Only conscription law, it has 64.45k total manpower. Its used manpower is 48.26k with 36.00k being employed by the Army, 360 by the Air Force and 11.90k by the Navy. This leaves a meagre free manpower of 16.19k. In the 1939 scenario, Chile has the same population as in 1936, with roughly 4.29 m core population. It still starts with the Volunteer Only conscription law, giving it the same number of used manpower, but the Air Force is now employing 1.40k, which leaves it with 15.15k free manpower. Chile does not start with any national spirits in 1936 nor in 1939. Like all the other states in South America, the independence of Chile is guaranteed by the United States, and this gives Chile a (+75) opinion towards the United States for being guaranteed. As a Democratic country, Chile has slightly positive relations with the same ideology (+10), and more stronger positive relations with countries that share the same ruling party (+20). Chile has a slightly negative relationship with all Communist, Fascist, and Non-Aligned countries (-10). Chile does not have claims on foreign soil. These are choices of ministers and design companies for Chile. Besides, Chile also starts with 1 Unlocked Slot in the state of Magallanes. No admirals are available in 1936. Have a good strategy for Chile?